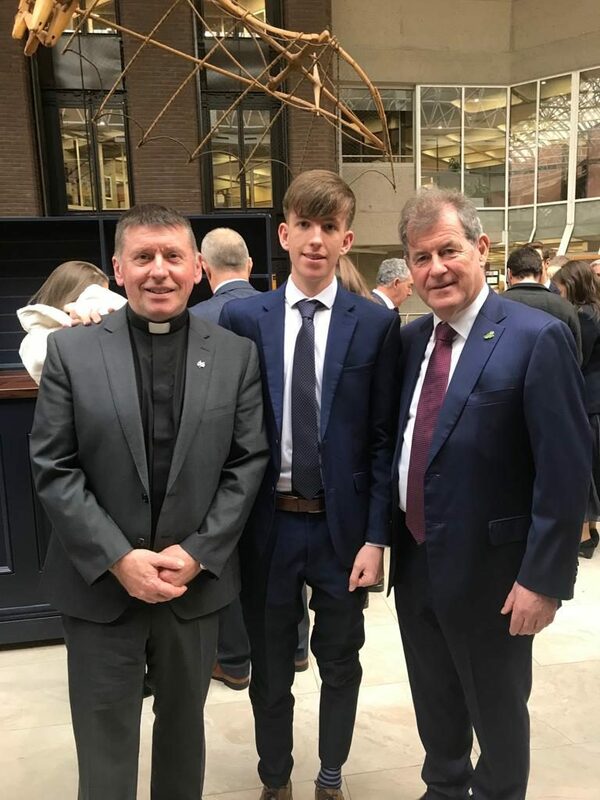 Caoimhin O Connell, with his teacher Mr Kenneally, receives his award for best Junior Certificate Technology (OL) result’s in the country. 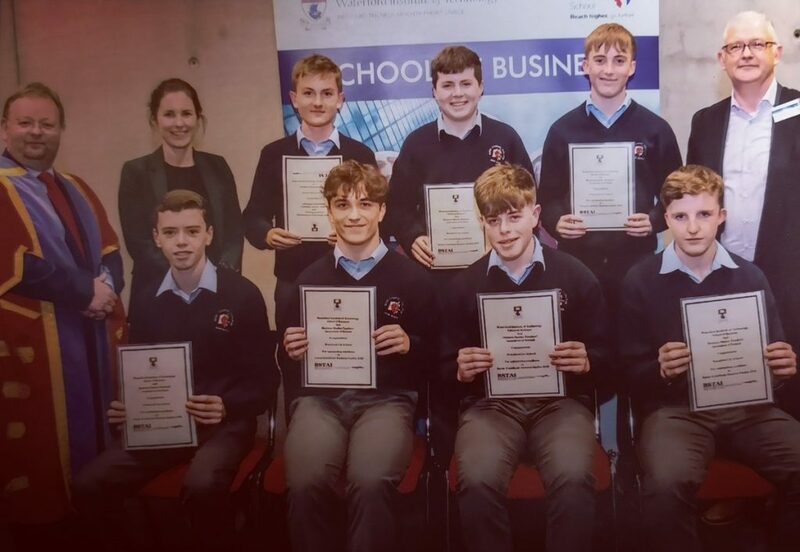 Boys who achieved an ‘A’ Grade in Junior Certificate Business receiving their Certificates of Acknowledgement from Waterford IT and the BSTAI. 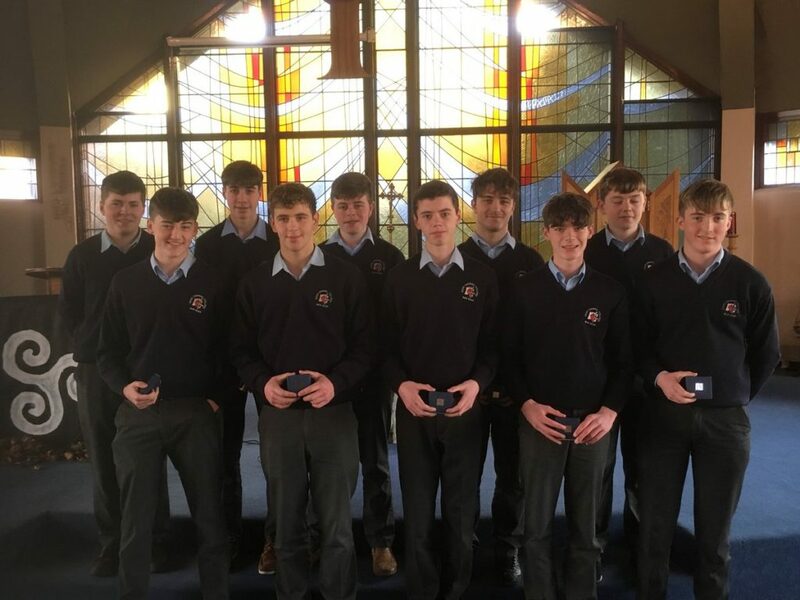 In house awards for exceptional performance in Junior Certificate including one student who achieved 10 A Grades at higher Level and a Distinction in English HL. 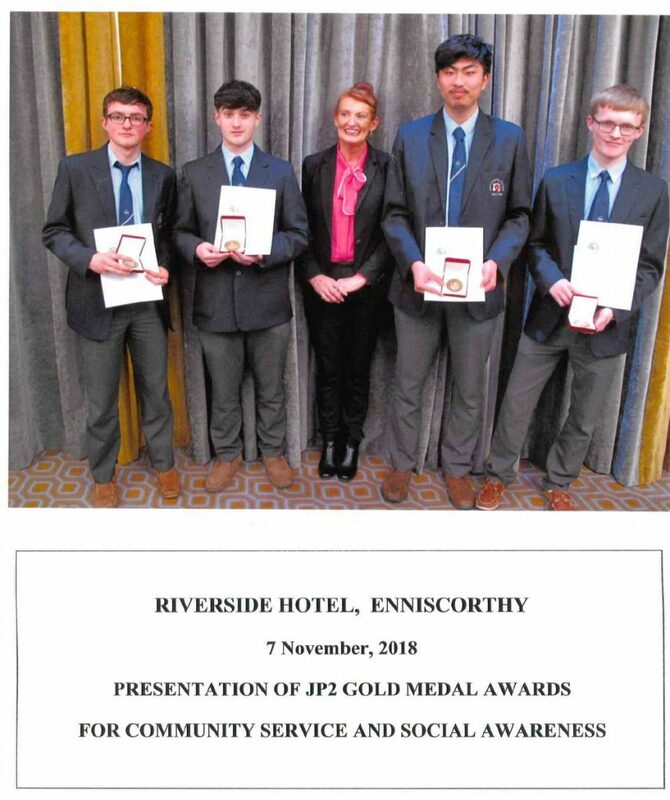 Our young men received their John Paul II Gold Medal and were accompanied by their tutor MS Liz Murphy. 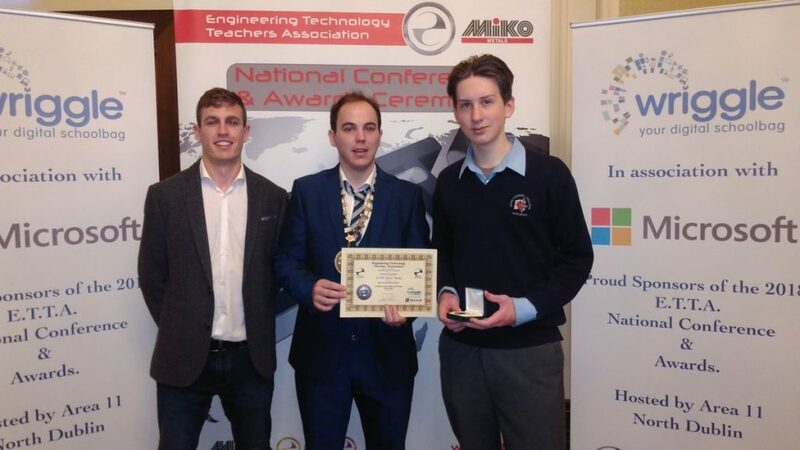 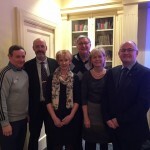 Winners of the ISTA South East Regional Senior Science Quiz in WIT during Science Week. 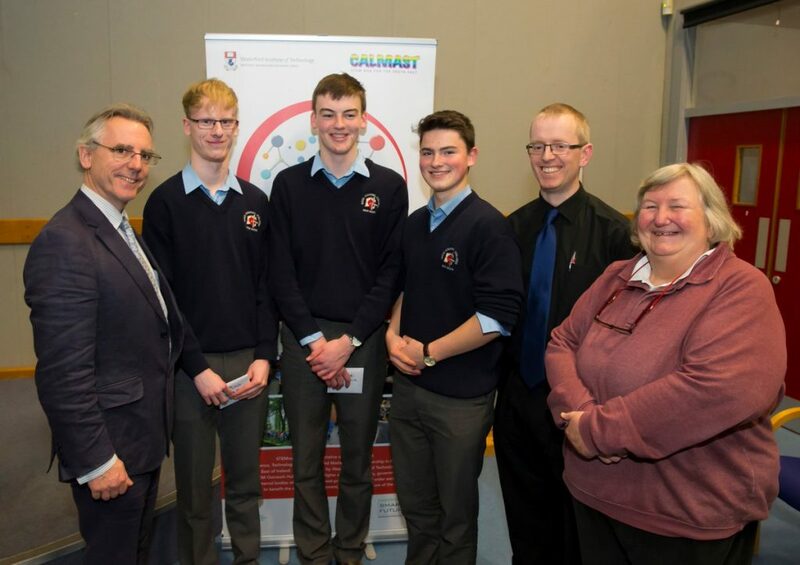 Sean Russell, David Dunphy, Peter Lawlor and Michael Galavan collecting Entrance Scholars Awards in UCD in recognition of their performance in Leaving Certificate 2018. 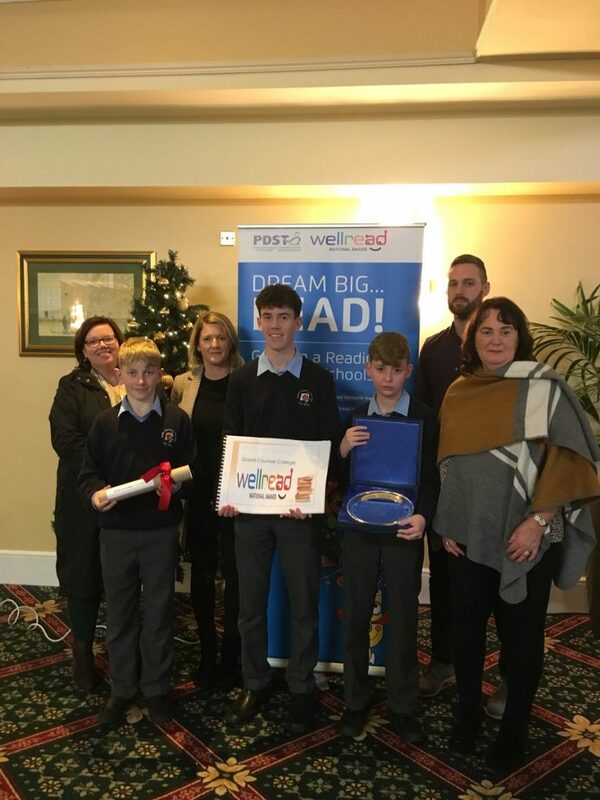 Our Wellread Team collecting our Award. 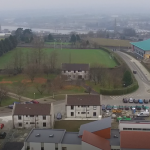 Parents, teachers and students.